From Asset labels and inventory labels, we produce sequentially numbered labels on both short term paper stocks and durable films. These labels may be produced for a very small product or for shelf and warehouse marking to name a few. 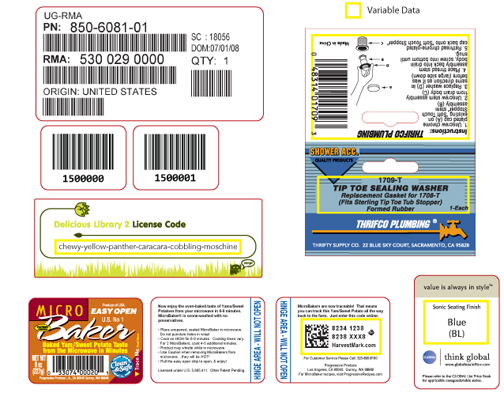 The labels can be done in both a human readable format or they can also include a barcode with the human readable information.